Over 40 years ago, the Los Angeles King mailed a little love to their fans. 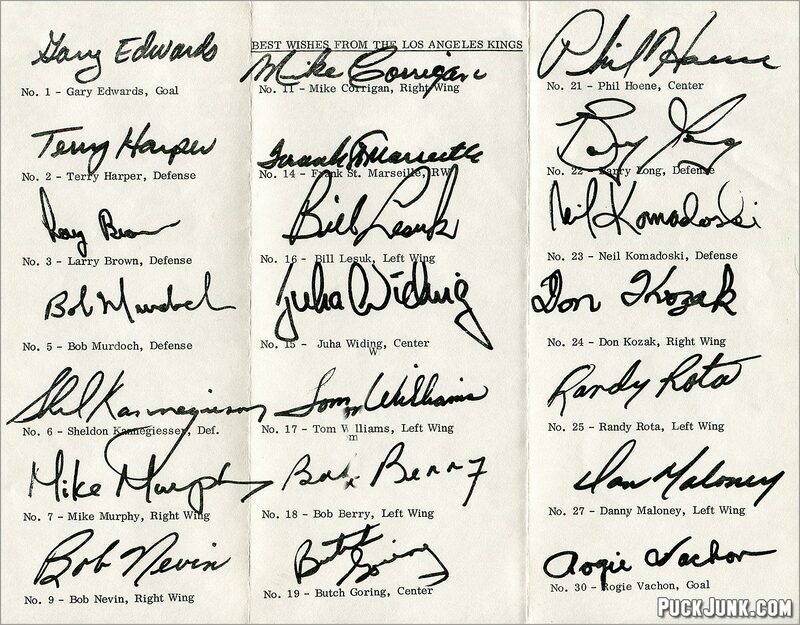 The team sent out this page of facsimile autographs during the 1973-74 season. The standard letter-sized page was neatly typed out, autographed by 21 players in marker, photocopied, folded into thirds and mailed in a business-size envelope. At the top, it reads” BEST WISHES … Continue reading "1973-74 L.A. Kings Autograph Sheet"